Stevensons of Norwich represents the best of English craftsmanship. 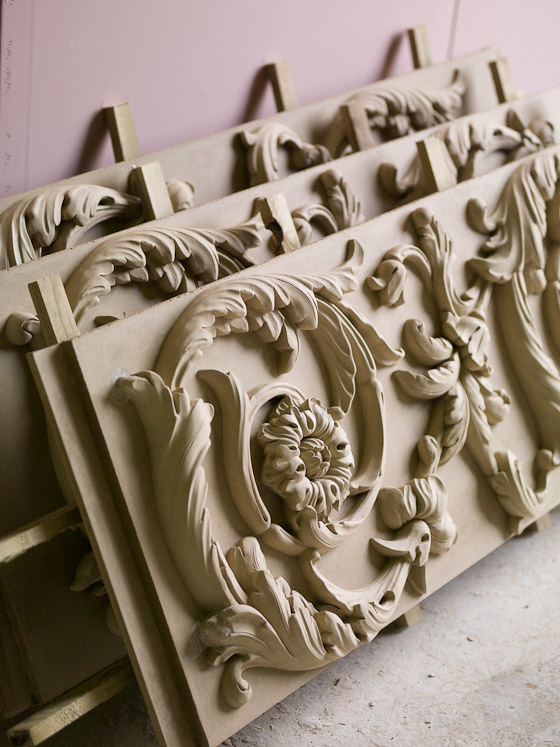 A privately owned and managed business, we have striven ceaselessly to create superb architectural mouldings in fibrous plaster and Stevensons-Stone® since our formation in 1982. All of our decorative mouldings, whether bespoke or from one of our standard ranges, are made by hand in our factories in Norwich. We are known for our attention to detail, and our ability to work on projects of every scale and style. Stevensons work on private houses, commercial interiors, exterior work, new build and historic restorations. We offer a complete resource for your project in-house, including surveying, reports and advice, design, modelling, mould-work, manufacture and installation. We have a significant collection of standard architectural mouldings, carefully and authentically designed, including our National Trust range of cornices. We are equally renowned for our bespoke manufacturing services, and use of Lime plaster for restoration work. Our own Stevensons-Stone® products are designed for exterior use, able to simulate stones, metals and other finishes with accuracy. Despite our powerful local roots, and our philosophy rooted in the best English craftsmanship, Stevensons is a company with a modern outlook and an increasing international focus; today our work extends not only throughout the UK but also to some 35 countries overseas. Please contact us or view the Products and Services areas of this website for more information.